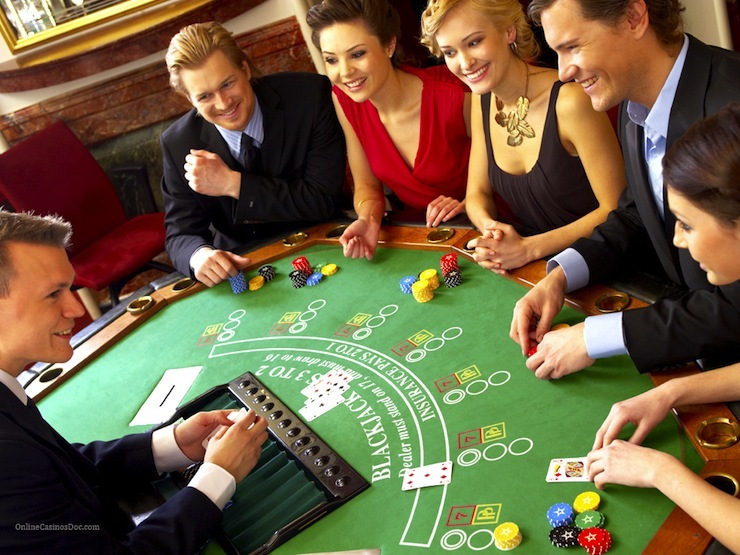 Blackjack is one of the most beneficial games for casino players. In this game, much depends on the decision made by the player, which give the opportunity to challenge your destiny. Casino organize exciting blackjack tournaments with large impressive prizes. In this article, we’ll try to prove that any player can learn to play blackjack. We’ll consider the key aspects of this game without examining them in detail. Many players erroneously think that the goal is to hit a blackjack or gather the amount of points that would be close to 21 without exceeding it. Your goal is beat the dealer, i.e. collect more points that the dealer or make so that the dealer have a surplus. Blackjack comes in all forms and sizes, and this variety shouldn’t scare you. If you learn the key blackjack notions and terms, you will have no trouble learning how to play any blackjack variation after playing several couples of rounds in a demo mode. The reason why players at land-based casinos are afraid to learn how to play blackjack is their fear to look ridiculous and stupid. They are afraid to slow down the game or behave inappropriately. These fears are groundless, though. Firstly, it’s no one’s business how you’re playing. Any complains about you spoiling someone else’s game are ridiculous and absurd. Secondly, there are not so many etiquette rules in blackjack. To understand them, just watch the game for a couple of minutes. Anyway, you can always find an empty table and play tet-a-tete with the dealer. Remember that this is a very simplified blackjack strategy. To increase your chances of winning, learn the full strategy for the blackjack variation you want to play. Blackjack seems difficult only to those who don’t know its rules. Learning the rules and strategies is not a waste of time but a smart investment in the future.